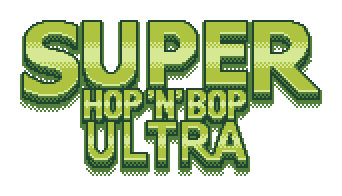 Super Hop 'N' Bop ULTRA is a 1v1 arena game with fast paced skill based action. The game hearkens to gameboy action platformers, while still feeling fresh and exciting. The game includes four action packed game modes, six playable characters, all with different abilities, five interesting stages to fight on, and a chiptune soundtrack that's sure to get your head bobbing. The game features full gamepad support. Is this single player or only multiplayer? it is two players only. Question, what was used to develop this game?